We’re excited to introduce you to Alvin B. Oung, PharmD, BACP! Dr. Oung is a Clinical Assistant Professor of Pharmacy Practice at the University of Wyoming School of Pharmacy. He also serves as an Ambulatory Care Clinical Specialist within the Bruner Family Medicine clinic. 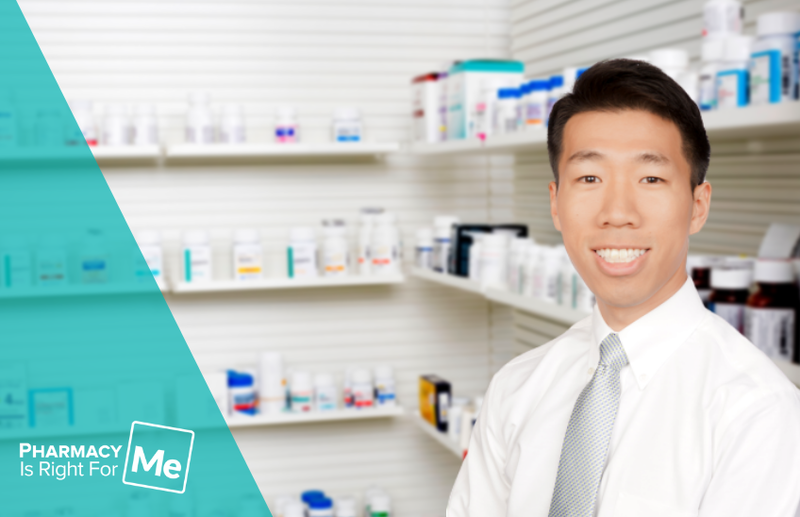 We connected with Dr. Oung to chat about why he chose to become a pharmacist and a pharmacy school educator, his advice for PharmD students, and a typical day in his life as a health professional. Read on to learn more! If there are medications involved, then a pharmacist can help. And, while medications are not always necessary, the treatment of most diseases would not be possible without medicine. What a privilege it is to be considered the “drug expert,” someone both patients and other health professionals can rely on for help. My career path is unique because I never thought I’d be doing what I’m doing today. As a high school student, I knew I liked chemistry and biology but that was about it. I figured pharmacy might be a good option since it involved those things, but I never imagined I would be working with patients as a pharmacist, and I certainly did not imagine myself as an educator for future pharmacists. I love that I get to teach and impact lives daily. If I’m not teaching students, I’m teaching patients. If I’m not teaching patients, I’m teaching doctors how to prescribe medicines in the safest manner. As a pharmacist and PharmD professor, I have the privilege of changing the way people view medicine and hopefully improving healthcare. Every day is a little bit different, that’s the exciting thing about being a pharmacy professor! Some days I’m in the clinic conducting one-on-one visits with patients (or simply being available to providers for questions). And on other days, I’m on the university campus giving lectures to PharmD students. Finally, there are days when I’m doing neither—instead, I’m attending committee meetings, doing research, and preparing for lectures. What has been the most rewarding day of your career thus far? It’s hard to pinpoint “the most rewarding day” when I genuinely do find every day rewarding. But, if I had to choose, I would say commencement for our pharmacy school. It never gets old watching PharmD students transform from new students who know very little about medications to ready-to-practice pharmacists. A lot can happen in four years. Seeing their growth and knowing that I made an impact in their careers is incredibly rewarding. What has been the most challenging day of your career thus far? I don’t have a specific day that I can recall, but the most challenging days of my career are when multiple responsibilities are colliding. I’m sure this is not exclusive to pharmacy, but there are days when patient care, teaching, committee meetings, research, and personal life all collide. These types of days force me to multitask and work at a pace that is sometimes very uncomfortable. Those can be hard days, but I’ve learned to realize that they happen in every job. And, thankfully, they never last too long. I’ve learned to push through and find hope in the fact that I ultimately enjoy what I do. If I’m honest, pharmacy first attracted me over other healthcare professions because I knew it would be a relatively clean job. I’ve always been that way. I vividly remember dissecting a pig in my high school biology class. At one point, we had to break open the rib cage. It was then that I knew being a surgeon was probably out of the picture. In fact, I ruled out many other healthcare professions that require direct contact with skin, bones, body fluids, etc. While I’ve grown from that and now do not mind encountering patients, it remains a profession that is relatively removed from that environment. Despite the slight distance, pharmacists are still essential to every team of health professionals, as our profession is predicated on our expertise and knowledge, precision, sterility, and communication. I take pride in all these things. What advice would you give a student entering pharmacy school? My advice for students entering pharmacy school would be to take advantage of every learning opportunity that presents itself. School only happens once. While learning and growing never truly stop, school is the one place where everyone around you is willing to teach. If you’re lucky like me, you’ll meet co-workers and mentors who will be a tremendous help in your learning journey. In school, you’re the primary reason why educators exist. Approach them, pick their brains, and don’t forget to thank them for their dedication to you! What do you wish someone told you (in high school or college) as it pertains to your career in pharmacy? As a result, you’ll find yourself Googling questions, watching videos, etc. to figure out if this profession is truly for you. Don’t be afraid to ask others! Don’t just rely on yourself. Visit local hospitals and pharmacies. Any pharmacist would be happy to answer questions about their profession. You may even find opportunities to shadow or volunteer. You never know until you ask. What do you believe is the biggest misconception about the field of pharmacy? I think the biggest misconception about the field of pharmacy is that pharmacists are limited to those who count medications or stand behind the counter. It’s much more than that. Each patient and prescription require a great deal of care and knowledge (otherwise school wouldn’t take so long!). Additionally, the field of pharmacy is widely expansive and can take so many different forms, including veterinary pharmacy, nuclear pharmacy, oncology pharmacy, critical care pharmacy, etc. The pharmacy profession is far from limited. Stay open-minded! Even after reading this, there’s probably more to pharmacy than you currently know. Similarly, there’s probably more to other careers than you currently know. Do your research, dig deep, and don’t be afraid to ask questions! If you’re interested in learning more about whether or not pharmacy is right for you, you can explore career pathways in the pharmacy industry here.